You probably decided that you want to grow plants indoor and stumbled upon our Mars Hydro 300w review. Getting the right LED grow light for your setup is essential. That is why we have this Mars Hydro 300w review for you. Find out what we think of this affordable LED grow light. Providing the correct amount of light for the perfect functioning of photosynthesis is crucial for growing plants indoors. It’s a must that your light source delivers the proper spectrum of light with the perfect intensity. LEDs are advantageous because they are able to deliver a full spectrum. This light is fine-tuned to specific wavelengths and uses less power than a standard HPS light. If you’re beginner, you may not want to make a huge investment first up. However, it’s important to find out if that investment is going to cut down your costs. And that’s a key point that most new growers seem to overlook. It’s a known fact that LEDs require a bigger investment in comparison to the less expensive HID lights. However, if you focus on the long run, LEDs will save you more money than that initial investment. At least, if you compare to other type of lights in operational costs and maintenance. This review is about a LED grow light that doesn’t require you to stretch your budget too much. The Mars Hydro 300W LED grow light is priced just under $100. It saves you the sizable investment and allows you to reap all the major rewards of using LED lighting. It is a perfect, entry-level LED for those who don’t want to spend a ton of money at the start of their venture. Don’t get fooled by the low price, it’s a grow light that’s more than capable of bringing good results. Why? Read this in our Mars Hydro 300w review. Is the Mars Hydro 300W LED grow light the ideal choice for you? It doesn’t really matter if you’re growing plants in soil or use hydroponics. It’s suitable for various growing environments such as grow tents, green houses, grow rooms or even stealth boxes and closets. 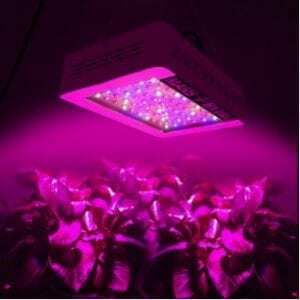 The affordable grow light is very popular among beginners due to its low energy consumption at 132 watts. That’s great being equivalent to the output of a 250 watt metal halide or HPS bulb. Considering the fact that you won’t be needing a ballast, you’re looking at a 50% savings in power. Less heat and less maintenance will bring those savings even higher. It can operate between 85 to 265 Volts using 1.33 Amperes, at 110 Volts or 0.68 Amperes at 220 Volts in frequencies 50/60Hz. This means it doesn’t really matter where you are in the world. You can use the Mars Hydro 300w anywhere. Make sure that you set your expectations right with this grow light from the beginning. 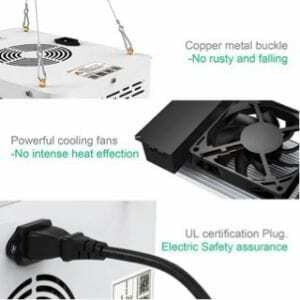 It’s not going to help your plants to flower like a 400W HPS for sure. At best, it can do the job of a 250W, provided that you’ve got all the variables right. 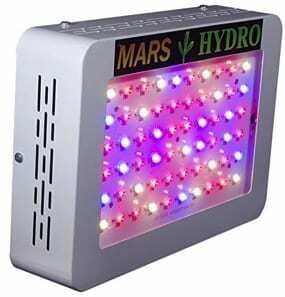 This afforable Mars Hydro grow light will help your plants produce flowers. But they might seem a bit ordinary when compared to plants grown under more powerful and more expensive LEDs in the market. This is probably the most important takeaway in this Mars Hydro 300w review. The Mars Hydro 300W LED grow light consists of 60 small 5 watt Epistar LED lights. These LEDs produce a light equivalent of 300 watts. Also, it consumes only 135 watt. Furthermore, it gives out a full spectrum light with a wavelength range of 430~440nm, 450~475nm 620~630nm, 650~660nm. This has been fine-tuned to suit Marijuana, flowers and vegetable plants. The affordable LED grow light suits all stages of growth as it emits the correct wavelength for cannabis plants. Its 5 watt chips are powerful enough for deep canopy penetration. They are better compared to the 3 watt chips used in most other LEDs. The optimum growing area is limited to 24 inch x 24 inch which is for grow light like this. We recommend that you use it for an 18 inch x 18 inch area during flowering for better results. Each diode of the Mars Hydro 300W grow light is covered by a small lens that focuses the light on to the canopy. With a mixture of 90 and 120 degree angles, it provides great coverage and penetrates with good intensity. Any LED grow light will emit heat, that’s a fact. However, the Mars Hydro 300 Watt grow light gives out less heat compared to other grow lights. Making heat a less of a concern. We expected a draw back in terms of heat with the 5 watt chips. But the large heat sinks and fan, do an impressive job of dissipating the heat away. There’s a slight draw-back with the larger fan as it produces a sound of 56 decibels. Which is a bit more than the sound that other grow lights of this size create. The cooling fan located within the LED panel operates whenever the light is on. It is blowing cool air on to the heatsink which keeps the diodes cool, helping them function at their best. These cooling mechanisms seem to be doing a very good job at protecting the diodes from failure and burn outs. Another smart feature that we noticed with this Mars Hydro grow light is not driving diodes to their maximum capacity. Running LEDs over a stable and comfortable limit ensures that the parts last longer. In addition to that, there are protectors on each diode. They avoid a successive reaction if one of them burns out. A burn out of diodes is not really expected. But it’s a very good feature, as it rules out the possibility of a complete failure of the panel. This at least makes me sleep a bit better at night. This cheap LED grow light has a heatproof tube. It eliminates the risk of the LED light catching fire. Mars Hydro has done a great job by obtaining VDE and UL certifications for the plugs and wires. Hence, passing the US authoritative ETL certification tests. China is known for their functional and affordable products. This fact has also driven some growers away from the Mars Hydro 300w. Due to the bad reputation of Chinese panels. To be fair to Mars Hydro, the lights do seem to be working very well. We didn’t notice any fading or inefficiencies. Also, the feedback from growers that use these grow lights are generally positive. Furthermore, Mars Hydro created two service centers in the US. So you’re not looking at the hassle of shipping the LED grow light all the way to China for repairs. Therefore, should any complications arise, a relatively quick replacement or a repair is just a few emails away. Every grow light in the market has its own positives and negatives. Let’s break down the pros and cons of the 300W LED grow light by Mars Hydro. Two service centers in the US. Great if you need repairs and you live in the US. Mars Hydro is a Chinese company, so people have their concerns on the quality. In conclusion, the Mars Hydro 300w LED Grow Light is a very good option for beginners. It is great for those who are looking for an affordable light. The Mars Hydro 300w has full spectrum, low energy consumption, high durability and low maintenance. We noticed that young plants responded very well to the light, which is great. 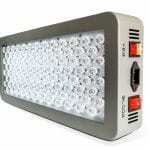 Going by user reviews, it seems to be one of the most popular LED grow lights for beginners. We understand why. 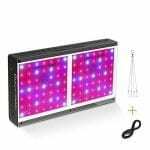 It is an affordable light for people who are just getting into indoor growing. Customer service is a slight concern with Mars Hydro only offering email assistance. You can’t call them up if something goes wrong with your grow light. However, they do respond to your email within eight hours. You can also get replacements or repairs done through one of their two service centers in the US. The Mars Hydro does some good growing and decent flowering. 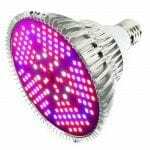 If you are looking for a professional LED grow light, this is not the light that you want. Especially in the flowering stage this light has its shortcomings. To sum it all up: this is a great light if you’re new to growing and have a small budget. I do not recommend this starter light for real professionals. Now it’s up to you to weigh in the pros and cons and make a smart decision! Furthermore, we hope this Mars Hydro 300w review helps you in making the best choice. Are you interested in other reviews of Mars Hydro led grow lights? Check out our reviews of the Mars Hydro Reflector Series. Looking for a light that’s similar to the Mars Hydro 300w? Check out the review of the Roleadro GalaxyHydro 1000w! 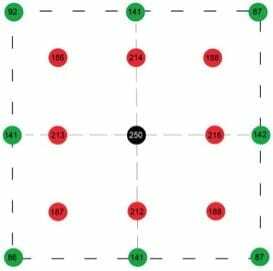 Do you want to measure light intensity and color? Check out our par light meter reviews!